Process Time Indicator can be configured as ratemeter. 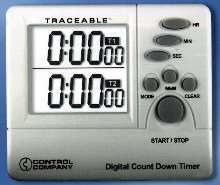 Double Display Timer is traceable to NIST standards. 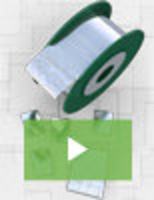 USB Watch Flash Drive stores up to 256 MB of data. 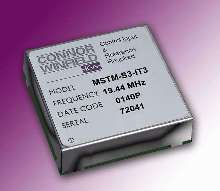 Timing Module operates at wide temperature range. 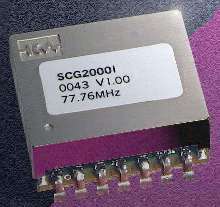 Synchronous Clock Generator operates in industrial temp range. Alarm Clock shows time, date, temperature, and humidity. Hygro-Thermometer Alarm Clock measures relative humidity from 20-90% with Ã‚±5% accuracy. 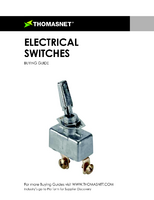 Temperature measurements are Ã‚°C/Ã‚°F selectable and range from 14 to 140Ã‚°F with 2Ã‚°F accuracy. 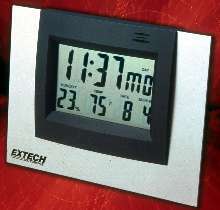 LCD displays temperature and humidity readings as well as day, date, and month. Clock alarm, with 4 minute snooze function, is also included. Unit, with stand, measures 9.8 x 7.5 x 1 in. Synchronized Time System is completely wireless. 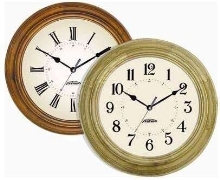 Time System wirelessly synchronizes clocks. 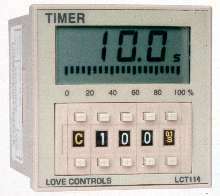 Digital Timer features 1/16 DIN package.